“FinTech Revolution: Universal Inclusion in the New Financial Ecosystem” is a practical guide to the evolving landscape of finance, highlighting how it’s changing our relationship with money and how financial technology, together with macroeconomic and societal change, is rewriting the story of how business is done in developing economies. Financial services companies are trying to become more customer focused, but struggling to help huge customer segments, particularly in developing economies. Alternative financial models and tools are emerging, which are being embraced by consumers and incumbents. In large parts of the developing world, alternative services are leapfrogging traditional finance, meaning more and more people have access to finance without ever needing a bank. Meanwhile, the barriers around financial services companies are crumbling, as they become more reliant on integration with new providers and alternative types of service. Financial products can no longer be viewed in isolation, but as part of a service landscape that supports how people do life. This means rethinking how our businesses are designed, motivated and organised, and letting go of the old ways of thinking about supply and demand. 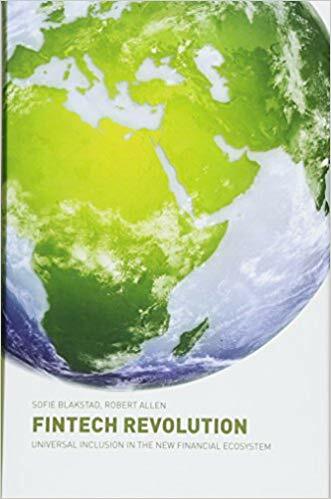 With practical steps businesses and, in particular, financial services organisations need to take to participate in a global service ecosystem, this book will be of interest to financial professionals who work in banking, financial technology, and development finance.